HeavenSpirit Creations : new art challenge! in order for me to try and get back on track i have decided to do another 30 day challenge. 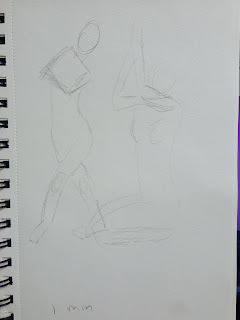 this time i will be using the live models at croquis cafe and doing one session a day. 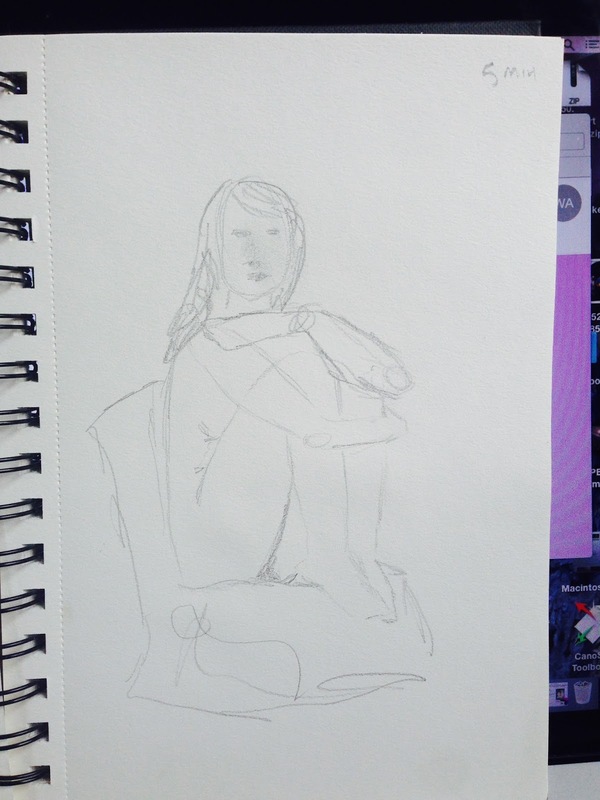 their sessions are a good 20 minutes or so long, with different length poses for you to draw from, in real time. the models come into frame, get into a pose and hold the pose for one minute and go into another pose. 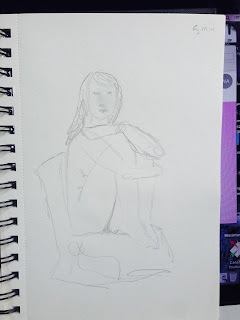 today was my first official day of sketching this way, and have 5 one minute sketches, 4 two minute sketches and 1 five minute sketch under my belt! 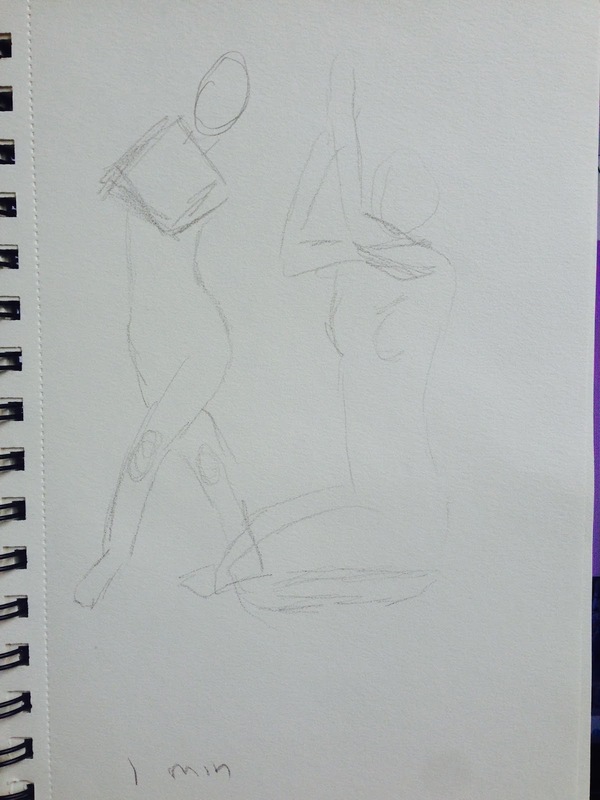 for some reason i like the two minute sketches better than the five minute ones. i am loose with it, get the idea across, and don't have to get into detail as much. 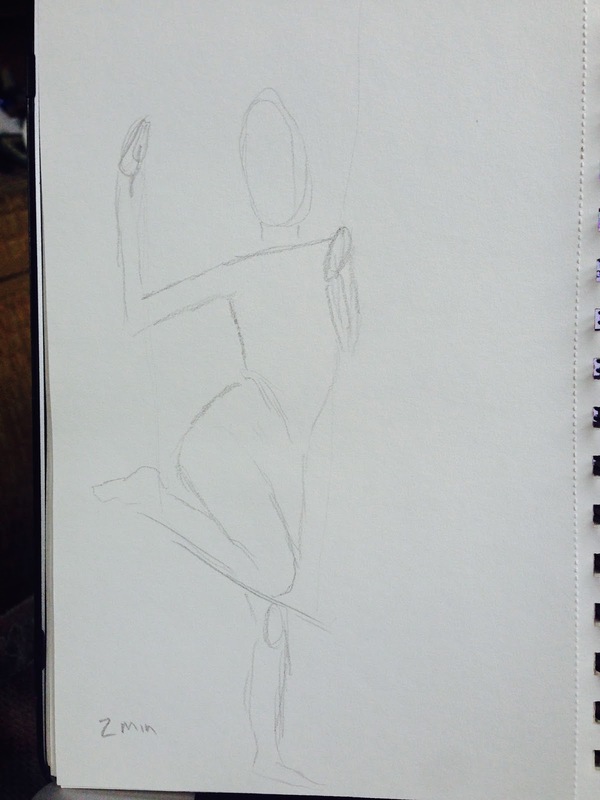 with the five minute sketch i am able to go back and fiddle with things and that creates messiness to me. 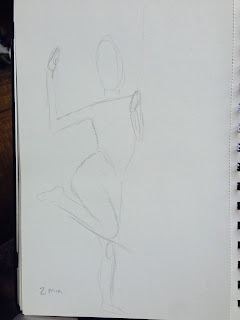 it will be interesting to see any noticeable difference in my ability between today and day 30. i won't be bothering to update every day, unless i'm really happy with a pose i did or something, but i will post the last days sketches to compare.